Bakhit wasn’t the Bedouin I expected. At 54, his beard grizzled-white, he needed to recline his car seat to accommodate his prominent stomach. He wore a brownish Dishdasha and a matching turban that had seen better days. But Bakhit was the first Bedouin I had ever met. Until I shook his large, roughened hand, I had always relied on the image of a dashing, flowing-turbaned Bedouin, part of yarns I had dreamed up as a 10-year-old in love with the “Black Stallion” book series. 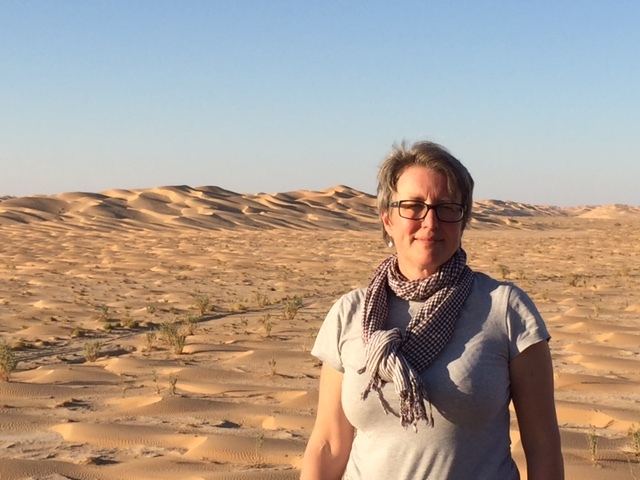 We were driving in his white Toyota Landcruiser, stuffed with bedding, food and water into the Oman side of the Rub’ al Khali desert, known also as the “Empty Quarter,” a land explored by Wilfred Thesiger and Lawrence of Arabia and the one place that I had desperately wanted to discover as a young girl. It had only taken me 40 years to get here, in a rather circuitous and tumultuous route via South Asia and Africa. My husband, John, was a reluctant traveler to “The Rub” as he called it. 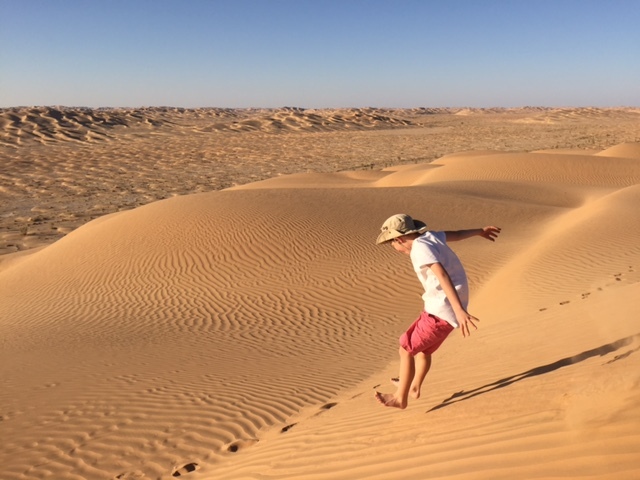 Being Dutch, he is not keen on heat, sand and outdoor camping without the pleasure of a nearby ocean and a glass of wine (Oman is a dry country). But the trip had been a majority vote and fortunately my nine-year-old son, Lucas, had voted with me. 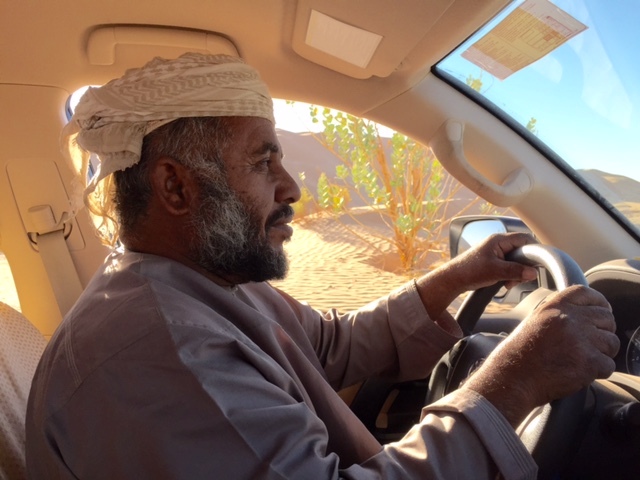 As Bakhit gingerly drove the winding road out of Salalah, Oman’s southern seaside city, into the arid brown and stone-carpeted mountains towards the Empty Quarter, he blamed his Bedouin roots for his halting city driving. 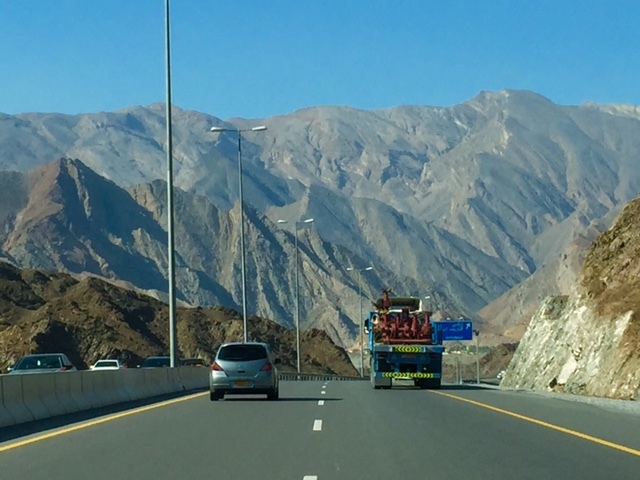 Having learned to drive in a trackless desert, he didn’t like traffic or, for that matter, keeping his hands on the steering wheel. On his first trip to Dubai, intimidated by the number of vehicles, he parked his car on the city outskirts and hailed a cab. Not used to the complexities of city planning, he then forgot where he had parked. But as the mountains gave way to a rock desert, then a caked mud flat, as the electricity poles and the paved road petered out, Bakhit navigated easily by keeping track of some shivering hazy form on the horizon to his right and left. A father of seven, he had grown up a nomad, herding camels through the Rub al Khali. Life is harsh here in a way I am not sure I know how to fathom. The midday heat crushes: brilliant, sharp and blue. The wind whips up sand as fine and soft as silk. In no time, the dunes swallow you, even your footsteps disappear in a permanent trickle of moving, windblown particles. There are no houses, no resorts, no other humans. Just emptiness. Just dunes. They can rise straight up so that you climb barefoot and on hands and knees. Some ridges are so solid they hardly take your footprint, others swallow your leg almost to your knee. They roll into the horizon, shifting from red and blond to grey and black. In the midst of it all, there is a dry bush or tree, incongruous in its loneliness if not for me to wonder how it arrived to that particular spot. 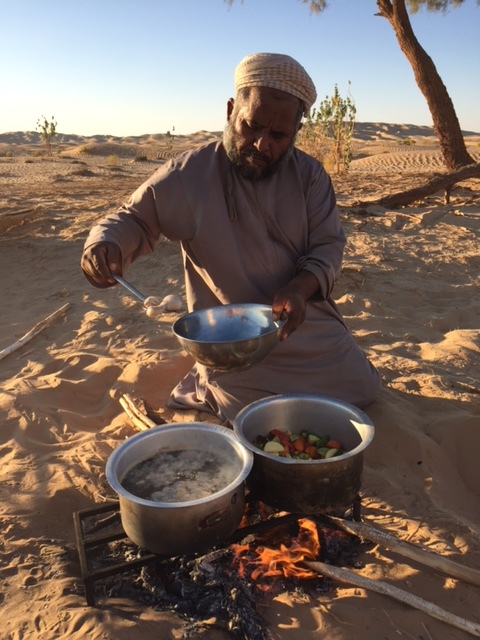 As Bakhit cooked chicken, rice and vegetables in a battered pot on a wood fire (“Bedouin men are bad cooks,” he assured me—and my husband agreed), we climbed up and ran down, jumped into wallows, lay down on cooling ridges and watched the sun burn into the west.There is nowhere else to go. The night is frigid, lying on the ground, even in a double sleeping bag. There are only the stars and the thick snowy sweep of the Milk Way. Lucas and John searched out constellations and counted the streaks from falling stars. I am still not sure what I wanted to find or even found there amid the dunes. A world perhaps standing still? A chance to pause and listen? Bakhit drove us out singing Bedouin love songs. His Bedouin world is also forever changed. As a child he remembers one meal a day of camel milk. 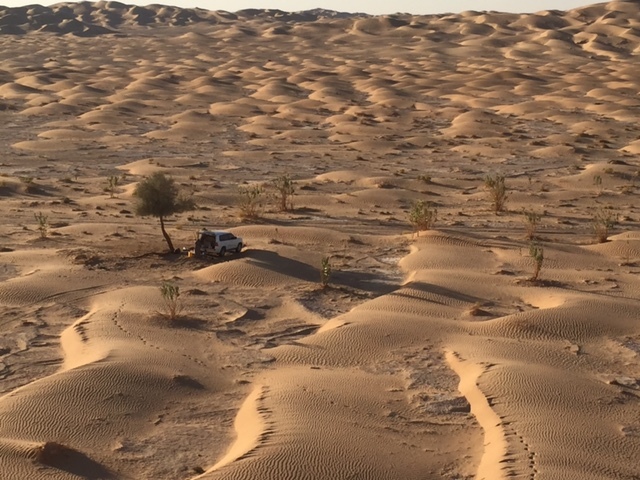 Early on, he learned that the desert is unforgiving and can drive a person to desperate measures to survive: when the water runs out, the Bedouin would force a camel to regurgitate its meal so that you could eat it instead. Some years ago, the Oman government brought the Bedouin clans into government housing; his children now go to school and his oldest daughter has just graduated university. 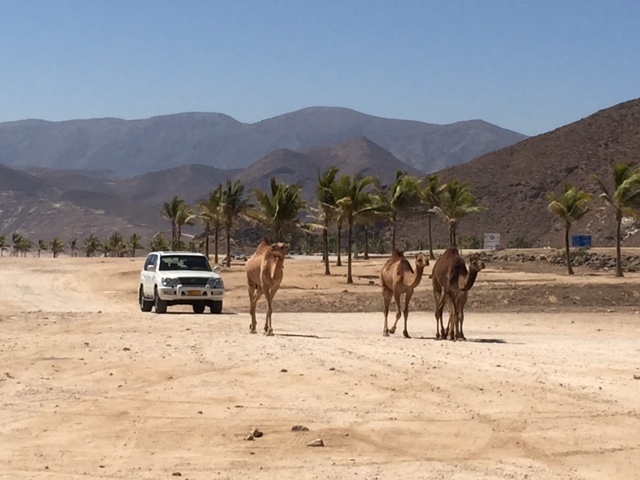 He still has a small herd of camels in a land where a good racing camel is as expensive as a Toyota Land Cruiser, but in Oman the camels are no longer what woos a bride. In 1970, while Bakhit was herding camels, the present ruler, Sultan Qaboos bin Said, overthrew his father in a bloodless coup. He inherited a country stretching from Dubai to Yemen, its western flank bordering Saudi Arabia. It had 10 kms of paved roads and two primary schools. 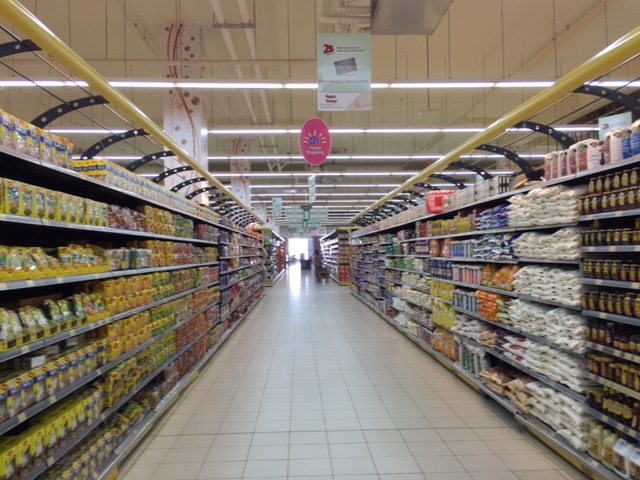 Sultan Qaboos has increased Oman’s gross domestic product from $256 million in 1970 to around $80 billion in 2013. Oman remains the most stable and religiously tolerant country in the Arabian Peninsula and is friends of both the U.S. and Iran. 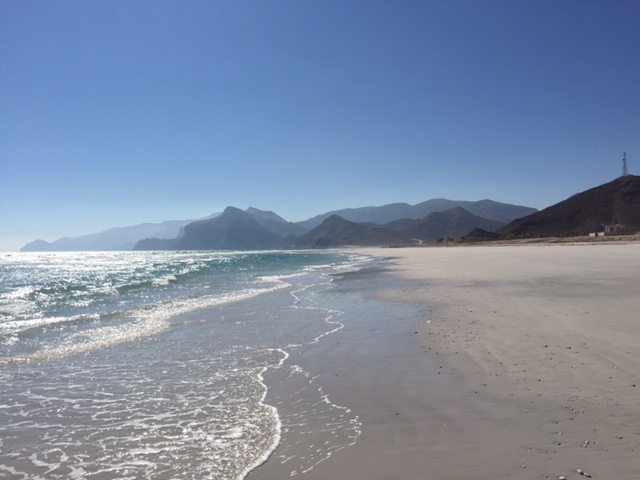 In the process, tourists, mostly from Europe, have discovered Oman, a destination once ‘off the beaten track’. 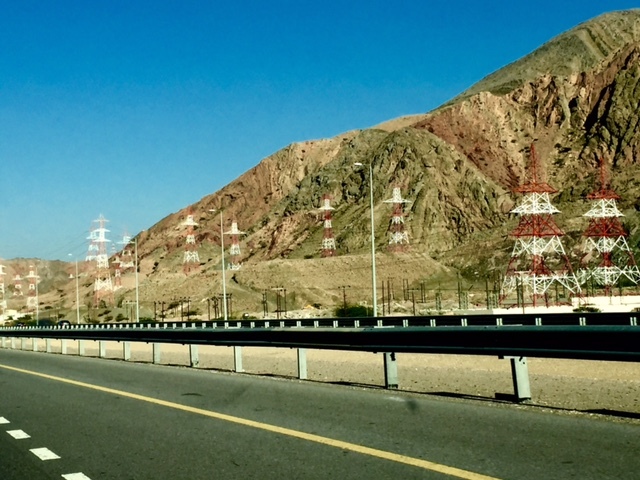 Six lane highways now enter the capital Muscat and link outside towns. Both Muscat and Salalah airports are expanding to become international hubs competing with Doha and Dubai. A deep water port is under construction, to rival Singapore as the largest port in the world. Tourist resorts are being built along the 1000 kms of pristine, turquoise shoreline. 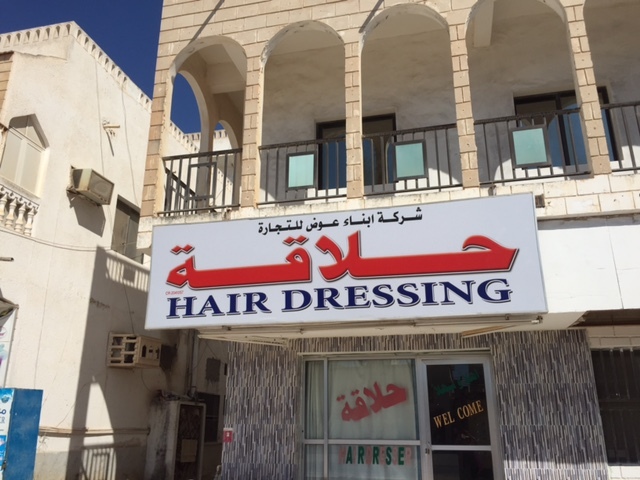 Yet Oman is also at a critical crossroad. Sultan Qaboos is very ill, by some reports terminally sick with cancer, and undergoing treatment in Germany. Childless, he has not officially named his successor. At the same time, a brutally militant Islam in growing in next door Yemen. 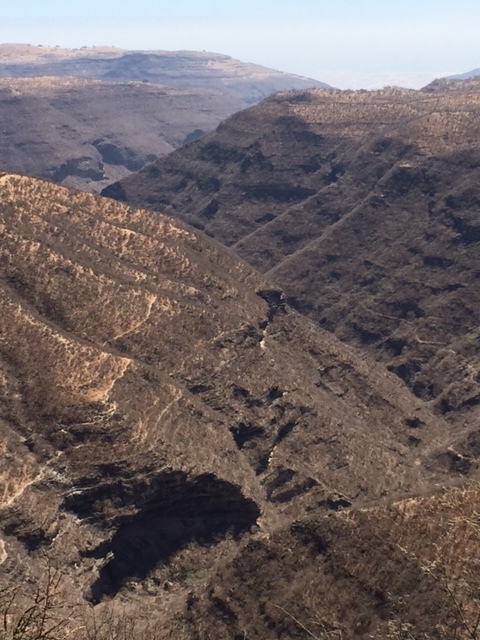 Oman’s geology, its canyons, its layered, rumpled, jagged rock mountains creeping up into the sky, its deserts, its surprising green wadis, all paint a picture of inscrutable indestructibility. Breathe in. Breathe out. I felt I could never get enough. 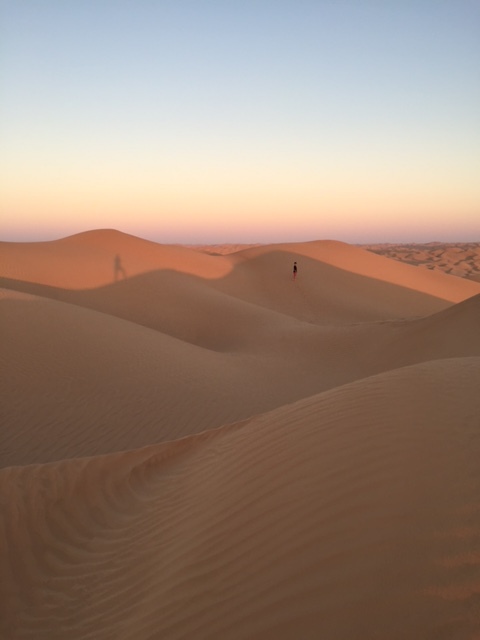 In the pre-dawn light, the sand in the Rub’ al Khali is so cold, my bare feet not only became numb but heavy with a pain that worked its way upwards as sharp stabbing daggers. They didn’t even thaw by the breakfast fire. I wonder if I, like the sands and like Bakhit, am forever changing, shifting, adapting. But whatever the desert gives, I find myself longing for more. There is nothing empty here but perhaps the daydream of a 10-year-old. 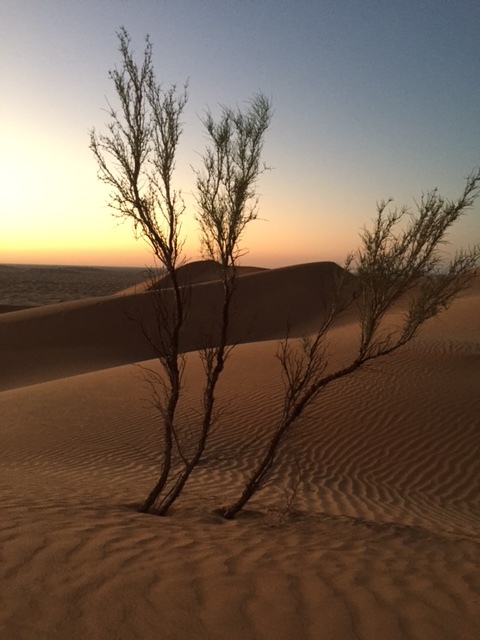 This entry was posted in beaches, bedouin, desert, Empty Quarter, oman, Rub'al Khali, Salalah, tourism and tagged beaches, desert, oman, rub' al khali, tourism on February 23, 2015 by Donatella Lorch. Thanks, I needed that! Vivid experience, expertly told, with refreshing balance and insight. Thanks for sharing a peek into your life and experiences. We are blessed! So glad you liked. It recharges my energy to read emails like yours. Beautiful writing Donatella! I love the photographs too! And thanks for sharing your travel’s and news from that part of the world that’s mostly overlooked.